Former Philadelphia Eagles player Brian Dawkins will be the keynote speaker at the Katz JCC’s seventh annual Sports Award Dinner on Wednesday, Sept. 13. The dinner will begin at 5:45 p.m. at the JCC. “Dawkins is such a well-respected alumni of the Philadelphia Eagles, and we’re ecstatic to welcome him to Cherry Hill to speak about his experiences and impact on the sports world during his time at Clemson University and the Philadelphia Eagles,” said Jeff Brown, event co-chair and representing presenting sponsor NFI. “We are also thrilled to be honoring several deserving individuals for their contributions to athletics in our community. This is such an important component of the evening and what so many attendees look forward to year after year,” added Jason Ravitz, event co-chair and representing presenting sponsor, the Ravitz Family Foundation. The JCC Sports Award Dinner is open to the public and recognizes community leaders who serve as positive role models to children, teens, and adults in South Jersey. Dawkins will speak about the inspiring impact that sports has had on his life and share some stories of his favorite moments of his football career. In addition, the event will honor three local Jewish community members who have made an impact in sports. Dr. Merrick Wetzler is the recipient of the 2017 Lifetime Achievement Award. Wetzler was a participant in the JCC Maccabi Games in wrestling and rugby, and returned to his Maccabi roots as the medical co-chair when the Katz JCC hosted the JCC Maccabi Games in 2014. He has also served as the medical chair for the Maccabiah Games for the USA team for four sets of Games. Wetzler is an orthopedic surgeon with South Jersey Orthopedic Associates and has assisted in team medical coverage for the Philadelphia Eagles, Flyers, Phillies and Wings. Haley Cohen is the recipient of this year’s David Back Memorial Maccabi Award. Cohen is a medal-winning tennis alumni of Team South Jersey’s Mid-Atlantic and JCC Maccabi Games delegations. She also competed and medaled at the Maccabiah Games in Israel. As an individual devoted to community service, she has volunteered her time to the Camden Boys & Girls Club and Aceing Autism. She is currently enrolled at Brandeis University, where she is a member of the women’s tennis team. Ken Hoffman is the People’s Choice Award recipient of 2017. Hoffman has coached in the Junior Maccabi Youth Basketball League at the JCC and has been a baseball coach for Team South Jersey at the Mid-Atlantic Junior Maccabi Games and JCC Maccabi Games. He is also a volunteer for the JCC’s ACHaD Squadron special needs basketball program and has served on committees for the JCC Pro-Am and Sports Award Dinner. He is the owner of Deluxe Packaging, an industry supplier of packaging supplies. 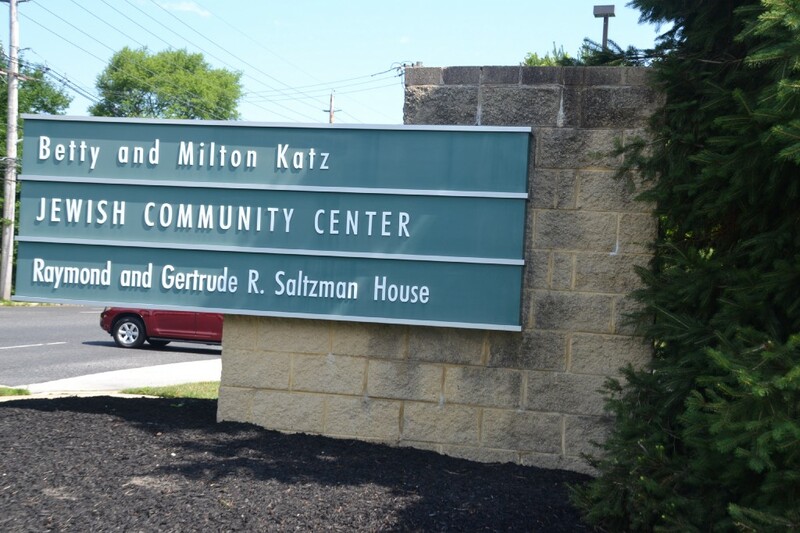 He and his wife, Sherri, have three children who have grown up at the Katz JCC: Max, Abby and Drew. The JCC Sports Award Dinner includes dinner and dessert and a sports memorabilia auction in addition to Dawkins’ keynote address and awards to the three honorees. General admissions tickets are $100, and patron ticket packages with reserved seating are also available. Proceeds from the Sports Award Dinner will provide financial assistance and services for children of all ages and abilities. To purchase tickets, please visit www.katzjcc.org/sportsaward or call Nancy Caporusso at (856) 424–4444 ext. 1267.